I want you to take a moment, and think back to a happy childhood memory that took place in a park. Running in the grass, playing on a swing and maybe having a picnic or snack with family and friends. If you were lucky, you got to walk to this park. What did the streets look like? Maybe the buildings surrounding the park housed businesses and neighbors you got to visit from time to time. Now as an adult, perhaps you drive or walk by this park and smile while remembering what it was like to be carefree and young. Imagine having those thoughts and feelings while standing in an art gallery just a stone throw away from City Hall. Yup, that's what happen to me yesterday. It was thoughtful, touching and kinda surreal to have so many memories staring back at me. 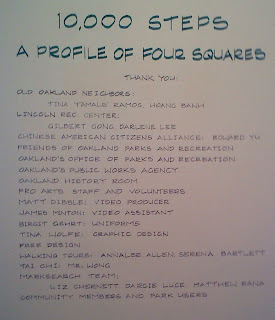 It was the first official day of the 10,000 Steps Exhibit: A Profile of 4 Squares at the Pro Arts Gallery in Frank Ogawa Plaza that will run from September 8 to October 9, 2009. The 10,000 Steps project is something I hold near and dear to me. The lovely husband and wife team of Sue Mark and Bruce Douglas also know as Marksearch brought me into their fold after approaching Old Oakland Neighbors to partner on the work they are doing. 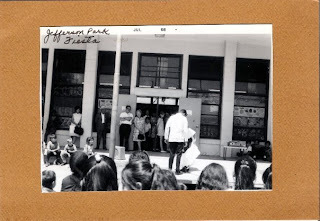 In the very beginning, I did question why these folks from North Oakland wanted to pay attention to the Historic Square Parks, two of which are in Old Oakland, Jefferson and Lafayette. With one eyebrow raised, I listened as they explained about wanting to research these urban open green spaces, record oral histories and what changes the communities around the parks have experience over the decades. This would all lead up to the creation of a walking tour of the parks and recording the journey of the project itself along the way. Since I enjoy writing about my community and it's history online, a writer from Oakland Magazine contacted me about 10,000 Steps. This produced the article in the Sept/Oct 09 issue called Minding Our Inheritance, which is a great lead in for this new exhibit. So back to the exhibit. 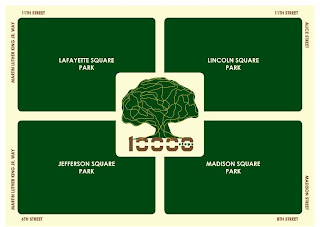 Sue and I had been collaborating on research for a community marker for Jefferson Square Park that is going into redevelopment soon. A little history about the Recreation Center that was built in 1948. The Rec Center was extremely active with young people and adults. Sporting equipment was loaned out and there were various art and cooking classes. The Latin American bookmobile made regular stops there and there was an occasional fiesta. Most of the activity came to an end with the destruction of our community with the building of the freeway in the late 1960s and the Rec Center was closed in the mid-1970s when it was deemed seismically unsafe. The park redevelopment will tear down the condemned building and it will be replaced with a dog park by Summer 2010. Members of Old Oakland Neighbors are excited to have community area revamped for everyone’s use and many have committed to volunteering for the upkeep necessary for the park to be clean and safe. 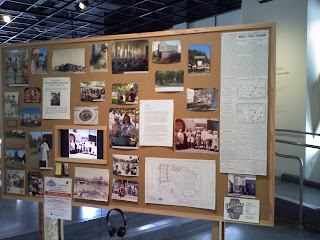 Sue mentioned that our research would also be used for an art exhibit about the parks. 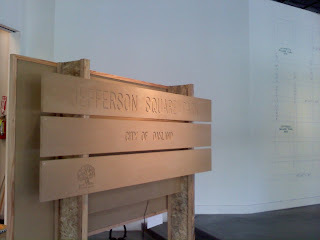 I have visited many exhibits over the years but I guess it was just not sinking in that my park, Jefferson Square Park, was going to be showcased at a gallery I really like. It also got me out talking to my friends and neighbors even more. 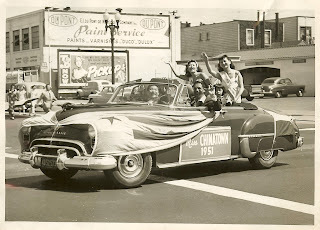 My fellow board member of Old Oakland Neighbors, Tiffany Eng, a third generation Old Oaklander who's grandfather used to run for public office back in the day provided images as well as OON co-chair, Hoang Banh. 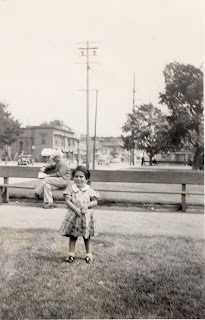 Old friends and La Borinqueña customers, Rosemary Escobar and Jose Arrendondo shared photos and stories as well. There is video footage too including my buddy Roy Byrd, former Harlem Globetrotter, who learned his tricks from Henry Boone, who has been playing pick up games of basketball in Jefferson Square Park since 1948. 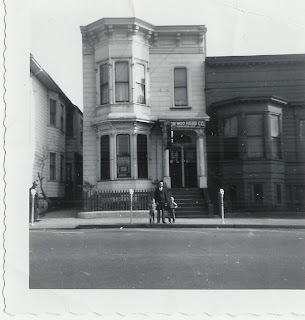 There will also be a series of special events including walking tours with Annalee Allen, longtime historic column writer for the Oakland Tribune and Serena Bartlett, creator of the GrassRoutes Travel book series. Oh, yours truly will also being doing a cooking demo at the gallery too. This will all lead up to a huge first Friday reception on October 2. If you aren't able to attend any of the special events, please stop by and view the exhibit during regular business hours. All the details will be a the end of this post. Overall, my favorite part of this exhibit is seeing photos in black & white and sepia next to modern color images of what the neighborhoods look like today. While I looked at the exhibit with my longtime friend Lupe and pro art staff Vicky, I shared my memories as well as the history shared by those who remember father back than me and I have been fortunate to spend time with over the years. They commented on how much I know and have to share. But see, we all have this capacity. To share the people, places and things that touch each one of us from when we can barely remember up until today. Take some time to share your stories with the young ones coming up and ask to hear stories from the older generations too. If you need ideas how to do this, please visit this exhibit. History is art. Art is sharing. It's connecting a little piece of everyone it touches. These connections are how we build a community. 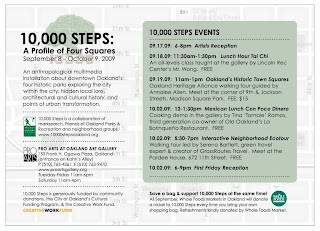 Please join us in celebrating the completion of 10,000 Steps' first phase of green art stewardship with downtown Oakland's historic parks and surrounding communities! This multimedia exhibit, at Pro Arts at the Oakland Art Gallery includes a wide range of exciting events, including guided walking tours and in-gallery interactive community-led demonstrations. Oakland Magazine will be handing out the Sept/Oct 09 issue at the 9.17 & 10.2 receptions. Let us know what event(s) you will be attending by responding to the evite here.